If you wouldn't say it in person, why say it online? The National Crime Prevention Council in the USA has addressed cyberbullying in a number of short videos. They make the point very well: why behave differently online to how you would conduct yourself offline? Use this as a starting point for discussion with pupils. Perhaps they could make their own cyberbullying video too: that approach has been used to great effect in a number of schools. 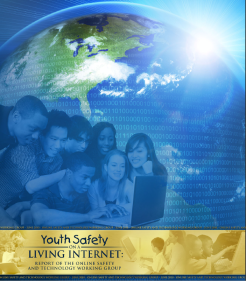 Youth Safety on a Living Internet is the report of the USA’s Online Safety and Technology Working Group. I discovered it when Penny Patterson posted the link to it on Becta’s Safetynet email discussion list. It's available as a free PDFAt 148 pages it’s quite a read but, astonishingly for an official report, engagingly written. It’s full of the sort of common sense advice that makes you go “Of course"!”, but backed up by research findings. Although the committee’s remit covered only the USA, it cites studies from other countries, such as the UK’s Byron Review. Moreover, although the evidence base will be different between the USA and the UK, a number of things will be applicable here. For example, the citing of different kinds of safety, which I have certainly mentioned in these pages – see, for example, The Pros and Cons and Safety Aspects of Social Networking and 11 Essential Elements of a Digital Financial Literacy Course. Also, stating the (what ought to be) obvious point that youngsters will use the internet regardless of what sort of measures are in place to protect them, so a sensible thing to do would be to help them learn how to use it safely. All in all, a worthwhile read, which is both well-structured (there are lots of summaries near the beginning) and, as I said, readable. 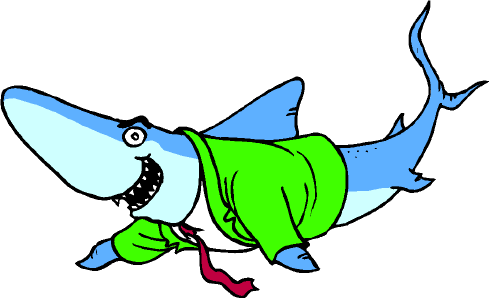 There are sharks out thereFinancial literacy. Here is a great opportunity to address two pressing concerns at once: financial illiteracy amongst some youngsters, and one particular area of digital safety. Yet in trawling the internet and skim-reading a few documents, the only reference I could find to teaching young people about guarding themselves against financial predators on the internet , as opposed to sexual ones, was in an Australian paper published in 2003! In my opinion, the usual sort of financial literacy 'curriculum' really fails to hit a few important spots. Yes, teaching kids how to manage their budget is obviously a good thing, but how is learning how to take out a bank loan useful for an 11 year-old? As far as I can tell, every financial literacy course includes this topic; that link is just an example. I looked at the financial literacy page on the Teachernet website , and found that three of the links either don't work at all or lead you to a holding page -- and one of the defunct URLs belongs to an organisation that is supported by the Financial Services Authority. Hmm. And looking at several examples of financial literacy syllabuses, how is learning how to set up and run a coffee shop/video rental shop/clothing store of any use or interest to an 11 year old? I can speak with some authority here, as someone who, 15 years ago, was setting exercises and projects involving the setting up and running of video shops, record shops and tuck shops. (Do any of those things even exist now, as far as anyone under the age of 30 is concerned)? Admittedly, the team-working aspects of such activities are worthwhile, but even in those days I was of the opinion that the Young Enterprise scheme was far more useful, through being more relevant to what the youngsters themselves wanted to do. Times have moved on, but the financial literacy syllabus hasn't. I used to teach Business Studies, in which I had to educate the kids about the differences between a loan and an overdraft, and between stocks and shares. I had serious doubts about the usefulness of it all, and still do -- except that at least now there is a chance to do some real buying and selling, on the web. Or, if that is a step too far, at least to deal with real, relevant and important financial issues which actually do, or could, affect the youngsters in your class right now. As a consumer (user) of stuff on the web, understand what is meant by copyright, licensing and attribution. Using someone else's stuff without permission, or failing to acknowledge use of it when it is allowed, is not only morally wrong but is potentially a criminal offence, and almost certainly grounds for civil action for damages. The fact that these scenarios are unlikely to materialise is irrelevant. We have a duty to teach kids how to keep themselves safe -- not only personally, but legally and financially too. As a producer (writer, artist or inventor), understand the difference between licensing your work, and giving it away. I've looked at websites in which the small print states that by uploading content to the website give ownership to the site's owner. I don't care how much potential income or exposure they are promising, it is never a good idea to give away ownership of your creations except in special circumstances with carefully worded agreements that both sides agree on. So licensing your work is OK, right? Well, not necessarily. Get that magnifying glass out again and take another look at the small print. If it says that by uploading your stuff you grant the site owner a licence -- forever -- to do what they like with it, you need to think about that pretty carefully. Some websites even go so far as to say that you give them the right to sell anything you upload, without even acknowledging you as the creator. So that's a double whammy: not only do you lose out on potential income, you lose out on potential further work too because people won't get to hear of you as being the creator. So you think I am making one huge fuss over nothing? I realise that I am showing both my age and evidence of my misspent youth here, but you only have to look at the Superman copyright story to realise the sense in what I'm saying. Who owns the copyright anyway? In the UK, if you create anything as part of your work, your employer owns the copyright. That means that you don't have the right to do anything with it, or allow a third party to do anything with it, without your employer's permission. You might be able to argue your way out of it after the event, but it will likely be a time-consuming, financially debilitating and career-limiting procedure. So who owns the intellectual property (IP) in stuff that a child creates? The answer isn't straightforward, as a perusal of this document will reveal (read especially the beginning, and the concluding paragraph). Irrelevant? Unlikely? I don't think so, if the young lady we spoke to in this video at Stephen Heppell's 2008 Be Very Afraid event is anyone to judge by. Copyright and IP is a minefield, so don't take my word for it as I'm not a legal expert. But that's precisely my point: we need to get it across to kids that this is a serious business, and that they shouldn't allow themselves to be exploited for financial gain. They need to look at the fine print, and get adults to look at it too. In fact, whenever I invite a young person to write for my website, I always ask them to make sure their parents and/or teacher is happy with the arrangement. I think that's good practice. And I don't ask contributors to give up any rights, only to allow me to publish their article in my newsletter and on my website. Writing for no financial return should be a conscious choice, not an imposed or assumed position. But I would argue that if you are going to write for no money, make sure you get something out of it, such as a plug for your website or blog. How can I sell stuff over the internet? If you sell digital goods, you need to find a service that will generate a temporary URL, ie one that expires after a couple of days and which can be used only once. Otherwise, how do you avoid someone simply sharing your download URL? So what can you do about someone sharing the product itself? And how could you even find out they were doing so? Now, you may believe that it's OK for people to pirate your stuff, but the issue here is one of choice. There are definitely potential benefits from giving stuff away, even if you're selling it (see, for example, The Pirate's Dilemma ; its author, Matt Mason, gave a compelling talk at the 2010 Games-Based Learning Conference). And it may ultimately even be futile to try to lock everything down. But a key element of digital financial literacy is knowing about the issues involved and being able to discuss them and make informed decisions about them. How do you buy and sell over the internet? Is Paypal a good service? How do you compare such services? How does eBay work? How do you try and prevent yourself being ripped off, either as a buyer or a seller? How do you recognise an internet/email scam? What are the emotional and financial consequences for their victims? As a subset of this, how can you avoid being the victim of identity theft? And what can you do about it if you are? Where do you stand as far as libel is concerned? In the UK, the libel law is such that you can wind up bankrupt even if you're telling the truth! It doesn't even matter if you publish stuff on a non-UK website: if there's a chance it can be read in the UK, someone can take you to court in the UK. What that means is that you have to be really careful when reviewing a book or some other product or service if you decide that you don't think too highly of it. Again, it's a complex issue, and I'm no lawyer, but the point is that students need to know that not being a UK citizen won't necessarily protect them. How is personal reputation likely to impact future employment and earnings prospects? If you want to get young people to understand why it's not a great idea to post photos of themselves in various states of inebriation or other compromising situations, maybe the old adage 'Hit 'em where it hurts' -- ie their pockets -- would prove more efficacious than only talking about personal safety, especially as everyone under 25 thinks they're immortal. Obviously, continue to emphasise the personal safety aspects, but introduce the longer-term financial considerations as well. A two-pronged approach can often be effective, generally speaking. I don't think this is necessarily a comprehensive list, but I think it's a good starting point. By addressing digital financial literacy, we would also be addressing key aspects of e-safety. The two things, far from being mutually exclusive, are highly complementary. What do you think of these points? What have I left out? Feel free to leave a comment.